This is the long bolt mod. you may have seen it before, but for those who haven't here it is. how about a pic of what you did between the sparcaps on the inside? looks good from the outside! OK, the inside, I have to say that Im not happy about putting a 3/8 inch hole in the spar for this mod. have you seen or heard of the rib "vertical bracket" mod? it was done on 2-seaters and Elite's - a 90 bracket between the spar web and each rib. it involved putting a U-channel on the flatside of each rib sparcap (between the rib and sparweb, so you have to remove the rib to do it), and then riveting an L bracket (about 5" wide) from the spar web to the U-channel. it prevents the rib from moving up and down, as the flex of the gussets are the only thing holding the nose of the rib in place. I have just spent 5 long days finishing the wings and ailerons and the long bolt mod, at this point after 300 rivets all I can think about is cover this bird and getting the motor running, then I will get a certification and inspection, then my ultra light liscence, this is how we do it down under,( saftey and all that stuff). In Australia we can only fly unlincenced and unregistered if it is over our own property or we have permission to fly over and a sign is clearly visible on the craft stating " Experimental ". i don't fly with rotax's, but shouldn't you have a "crush" plate on the front of those props? shannon? those spacers will put point loads on those props that will lead to cracking. do you have a plate that just isn't on there right now? I do have the spinner backing plates and after repeated warnings not to use them I have left them off, I have put a thin strip of plywood under the props as a "cushion" and have not tighten the props to full torque at this time. The 1 motor has been run for 4 minets at les than 1/2 throttle, the other is yet to start and the props are removed at this time. Thankx for the warning but I do not know what these 'crush plates' look like can anyone post a pic or describe the little suckers, I do hope to have new spinner plates before full tune / test and launch. I pulled up a random pic of a crush plate for you to reference. 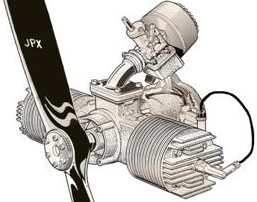 A crush plate is essentially a metal plate on "top" of the prop so the bolt heads or nuts spread the torque of the bolt across a broader area of the prop hub. It's not the spinner backing plate as you mentioned, crush plates are on the outside of the prop, not underneath. Also, you menetioned that you put some wood underneath for cushion? Remove it as you do NOT want that between your prop and prop hub. JPXman @ Jan 8 2010, 09:30 AM wrote: i don't fly with rotax's, but shouldn't you have a "crush" plate on the front of those props? shannon? Tyler that's the late standard factory set-up with small washers and no crush plates. What you see is actually the revised factory prop mounting as originally the bolts were turned the other way with the nuts on inboard side of the prop hubs. Tech update 5.4 covers this. I've seen a few examples were crush plates were made and used for Bi-props. This factory set-up however has been used on many planes for many years. Due to the hardness of the Bi-props evidently it was felt that no crush plates were needed. Personally I think guys should adopt and utilize whatever configuration they are comfortable with for the Bi-props. Crush plates or large/oversize washers being possible options. Where I absolutely will be using crush plates is with the P-tips.